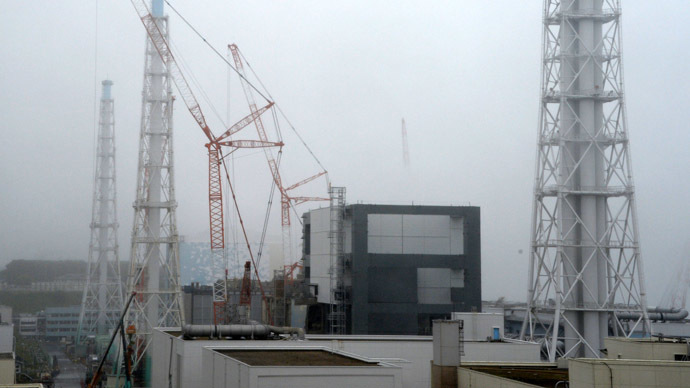 Embattled Fukushima operator Tepco has been accused of a “weak sense of crisis”, as its failing battle to prevent radioactive water from seeping into the seawater near the plant has become an “emergency”, according to the country’s nuclear watchdog. “You can't just leave it [disposing of radioactive waste at the plant] up to Tepco," Shinji Kinjo, head of a Nuclear Regulatory Authority (NRA) told Reuters. "Right now, we have an emergency." Daily, 400 tons of groundwater percolates into the basements of the plant, which was decimated by the Tohoku earthquake and tsunami in March 2011. The seepage mixes with water used to cool down the damaged reactors, before accumulating, and escaping out into the Pacific Ocean. 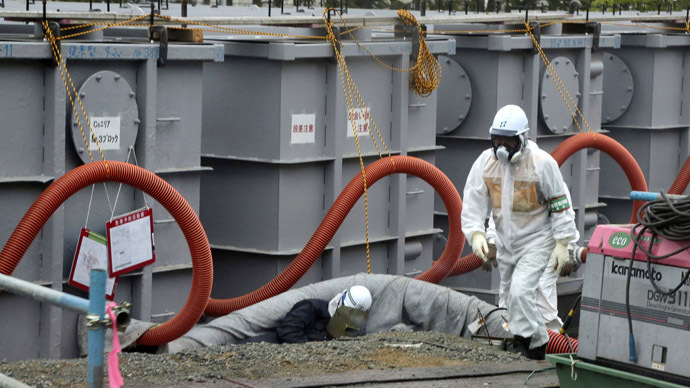 For the past two years, Tepco claimed that it managed to siphon off the excess water into specially built storage tanks, but late last month admitted that toxic water was not contained. 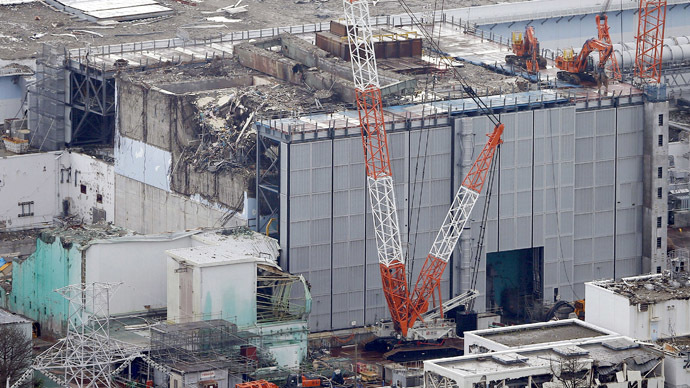 The energy company, which is under financial pressure after being handed an $11 billion clean-up bill for Fukushima, has simultaneously hardened the earth around the plant with a special chemical, creating an impenetrable barrier on the side of the plant adjacent to the ocean. But the shell is not complete: the technique only works 1.8 meters below the ground and further down. So, water continues to build up inside the plant vaults, and will eventually reach the unprotected subsoil and topsoil, as more water goes in each day than is pumped out. Asahi Shimbun newspaper reported that the toxic water could begin spilling over within three weeks. Kinjo refused to speculate about the exact timing, but said that any radioactive water that escapes that way “will flow extremely fast”. 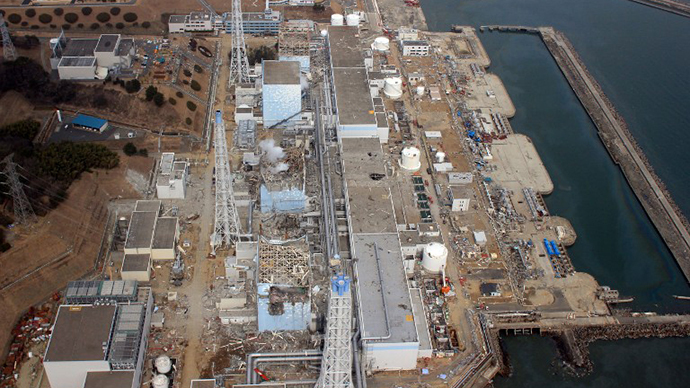 Tepco is constructing a bypass that should decrease the groundwater inflows into the plant. It has also promised to begin pumping enough radioactive seepage by the end of the week to stop the water level from rising. 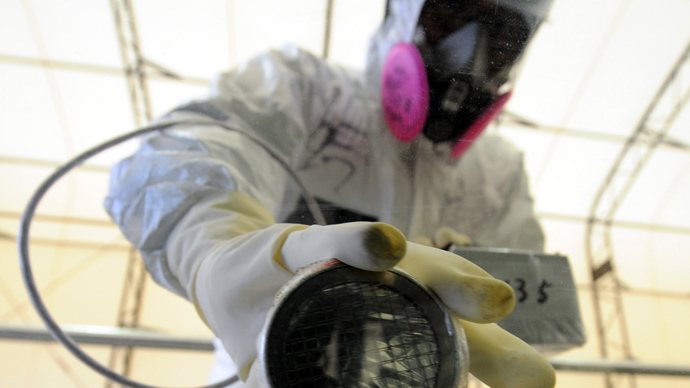 But the company faces limitations, as its radioactive liquid storage tanks are 85 percent full, and it has no clear plans to construct more, or to turn the current makeshift facilities into permanent ones. “New measures are needed to stop the water from flowing into the sea," emphasized Kinjo, who accused the energy giant of failing to implement long-term solutions for a crisis that has been going on for more than two years. The impact of the radioactive water that has and will be released into the Pacific is hard to estimate, as Tepco has been slow to conduct studies and reluctant to release results to the public. Last week, the company announced that it tested the release of radioactive isotope tritium, and said that it was within the legal limit. It now plans to test the sea water for cesium and strontium, which are considered much more dangerous for humans and the environment.